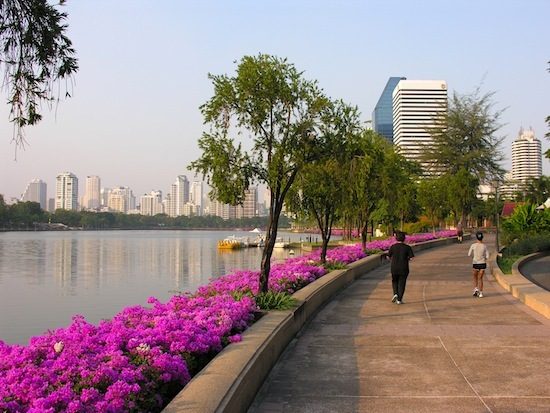 Run in arguably Bangkok's prettiest park. Not as well known as Lumpini, but more impressive and less intrusive. Thing about Benjakiti Park is that it is less crowded. 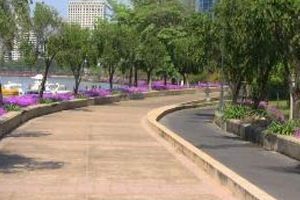 The impressive views of the flower-lined lake plus two stunning fountains definitely gives it the most beautiful park in Bangkok award. The circumference of the lake stretches about 2 kilometres. There is a separate bike lane for cycling enthusiasts, hence you won’t need to look out for fast and furious cyclists whilst running. This park is open from 5am to 8pm.